The above photo, courtesy of Ed Gaertner, depicts the proud tradition of the United States Navy and Army forces in joint cooperation in battle. 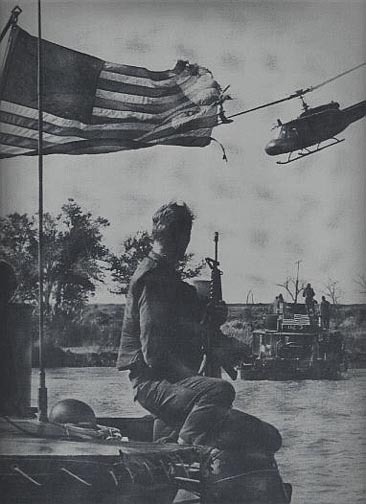 By bringing you the actual combat reports below we hope you develop an appreciation for the day-to-day activities of the Mobile Riverine Force, a preeminent force within the Mekong Delta during the Vietnam War. This page is the gateway to actual reports of operations as written during the Vietnam War and now declassified. Many thanks to Mike Harris (T-152-1) and Albert Moore (USS Benewah) for typing these reports from copies of the originals.